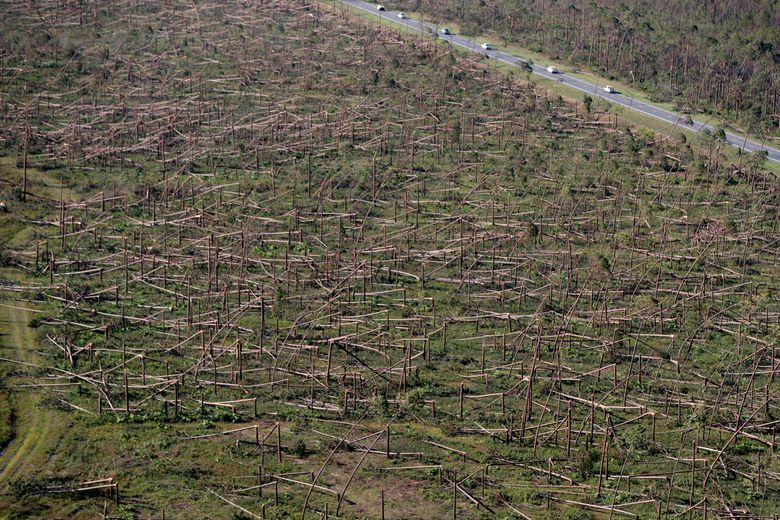 TALLAHASSEE, Fla. (AP) — Unlike in South Florida, homes in the state’s Panhandle did not have tighter building codes until just 11 years ago; it was once argued that acres of forests would provide the region with a natural barrier against the savage winds of a hurricane. Many of those structures did not withstand the fury of Hurricane Michael, which slammed into the area last week with winds of up to 155 mph (250 kph), leaving acres of flattened houses and other buildings in its wake before roaring across the Georgia border inland. Hurricane Andrew a generation ago razed Florida’s most-populated areas with winds up to 165 mph (265 kph), damaging or blowing apart more than 125,000 homes and obliterating almost all mobile homes in its path. The acres of flattened homes showed how contractors cut corners amid the patchwork of codes Florida had at the time. For example, flimsy particle board was used under roofs instead of sturdier plywood, and staples were used instead of roofing nails. Though Michael’s winds were particularly fierce, any boost in the level of safety requirements for builders could help homes better withstand hurricanes. Tom Lee, a homebuilder and legislator, says past hurricanes have shown time and time again that the stricter codes help. He said after such previous storms, he could see during flyovers which homes were built before the new code. “The structural integrity of our housing stock is leaps and bounds beyond what it was,” Lee said. The codes call for shatterproof windows, fortified roofs and reinforced concrete pillars, among other specifications. But it wasn’t until 2007 that homes built in the Panhandle more than 1 mile (1.5 kilometers) from shore were required to follow the higher standards. 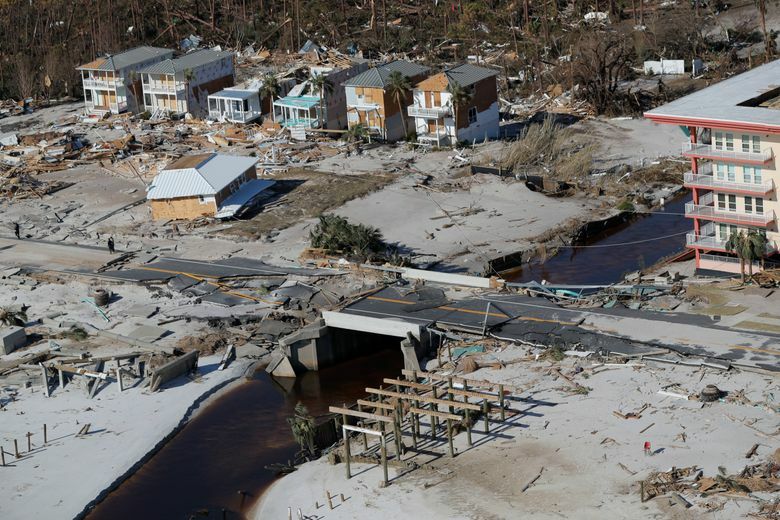 Hurricane Michael pummeled the region with devastating winds from the sea all the way into Georgia, destroying buildings more than 70 miles from the shoreline. Bill Herrle, who owned a house near the shoreline in Mexico Beach until it was destroyed by the storm, said he wasn’t sure it made a difference when the homes there were built. He said the storm took out his house, built in the mid-’80s, as well as newer buildings put up recently.